When I saw this beautiful metallic velvet dress by AQUA, I thought about how I could best accessorize it, so I came up with this look. 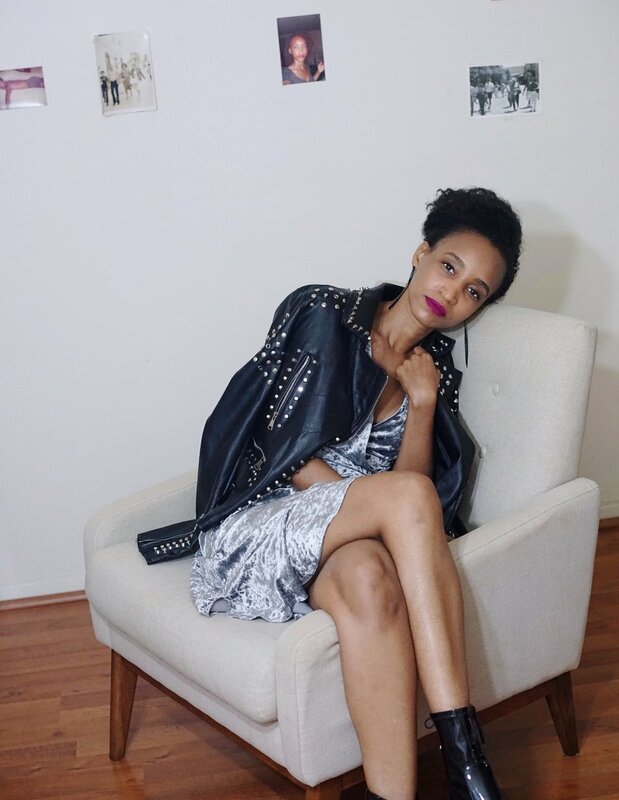 For this editorial photoshoot, I wore the dress with this studded faux-leather moto jacket also by AQUA, along with black elongated earrings by H&M and black booties by Material Girl. This editorial shoot was all about elegance with a touch of edginess.